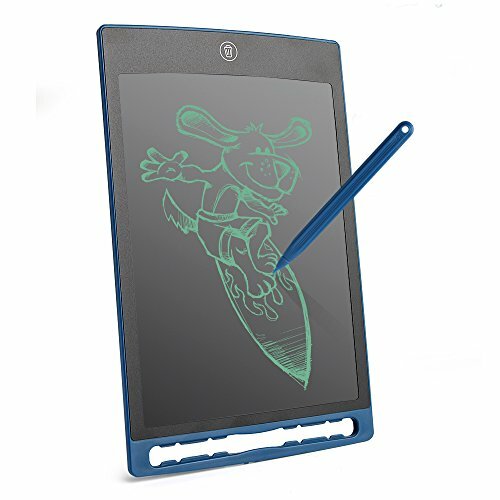 LCD Writing Tablet 8.5 Inch Hnadwriting Drawing Painting Pad for Office Whiteboard Memo and Kids Gift (Blue) by ANOTEK at Andy Pemberton. Hurry! Limited time offer. Offer valid only while supplies last. Writing and drawing on the tablet is just like on the paper, you can use the plastic stylus attached or your fingernail to write. And the thickness of lines depends on your pressure of writing. It's suit for writing pad, note board, paper notebook, office writing board, drawing pad, graphic pad, kids writing board , kids doodle board, etc. Enjoy happy time with your family, practice writing and drawing or help you to improve work efficiency! If you have any questions about this product by ANOTEK, contact us by completing and submitting the form below. If you are looking for a specif part number, please include it with your message.